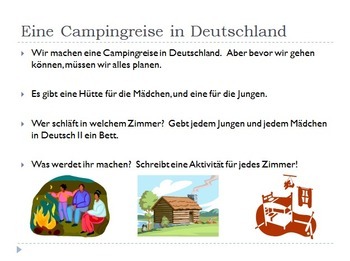 Students are planning a camping trip for their class to Germany. 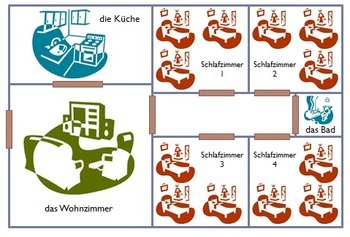 They need to plan their trip by figuring out who will be sleeping where and what they'll be doing in their cabins. 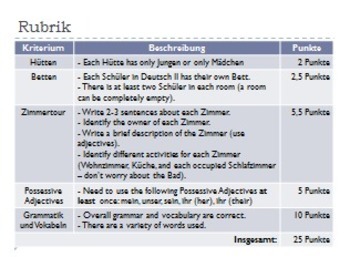 Students then need to write a description of each cabin using possessive adjectives. Recommended as a short project for the end of a Possessive Adjectives unit. I usually use this in addition to a short quiz.